I love craft beer. I love the creativity of flavor creation, the camaraderie that seems to follow craft beer, and the fact that there are so many different beers and breweries to experience. 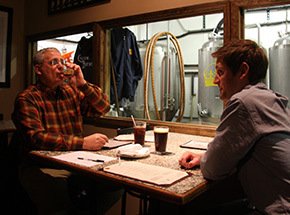 In Northwest Indiana alone, there are 19 craft breweries, all of which are featured on the South Shore Brewery Trail. That means there are 19 different places to kick back, relax with friends and family, and savor some of the delicious and creative flavors brewed up by these local breweries. Continue reading to learn about three of the breweries featured on the South Shore Brewery Trail. I had the opportunity to head over to Four Fathers Brewing this week to drop off some materials for work. Four Fathers offers visitors a small tasting room just a short distance from the heart of downtown Valparaiso. When I walked in to the tasting room, I immediately felt this would be a great place to hang out with a couple friends. Because it is American Craft Beer Week, Four Fathers planned out various activities throughout the week, and Monday was board game night. Throughout the room, board games are set out for visitors to grab and play while sipping their beers and hanging out. After reviewing the beer menu featuring six different brews, I decided to order 5 oz. samples of Why Buy the Cow, Stunned Mullet and #15. 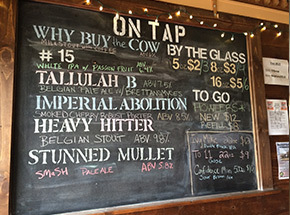 Why Buy the Cow is a milk stout brewed with coffee, Stunned Mullet is a single malt and single hop pale ale, and #15 is a white IPA with passion fruit - easily my favorite. The #15 is a beer I can see myself drinking as I bask in sunlight. No worries, no problems - just delicious beer. Four Fathers Brewing also offers visitors a selection of snacks that includes chips and salsa, beer dip and pretzels, bacon popcorn, and a bowl of pretzels. The bacon popcorn is popped fresh and available for free in the tasting room. I was sure to help myself to a small bag to munch on while I enjoyed my beers. If you&apos;re planning to head to Four Fathers before American Craft Beer Week is over, which I definitely recommend you do, they will be offering live entertainment by Angelo Cicco from 6 p.m. to 9 p.m. tonight. Their cask-conditioned Heavy Hitter, which is brewed with raspberries (yum! ), and beer and cheese flight pairings will be available Saturday, May 16. Robert Rolfe Fedderson will be at the brewery on Sunday, May 17, from 2 p.m. to 4 p.m. spinning records, and there will also be beer and cheese flight pairings. Crown Brewing is one of my favorite breweries in the region. 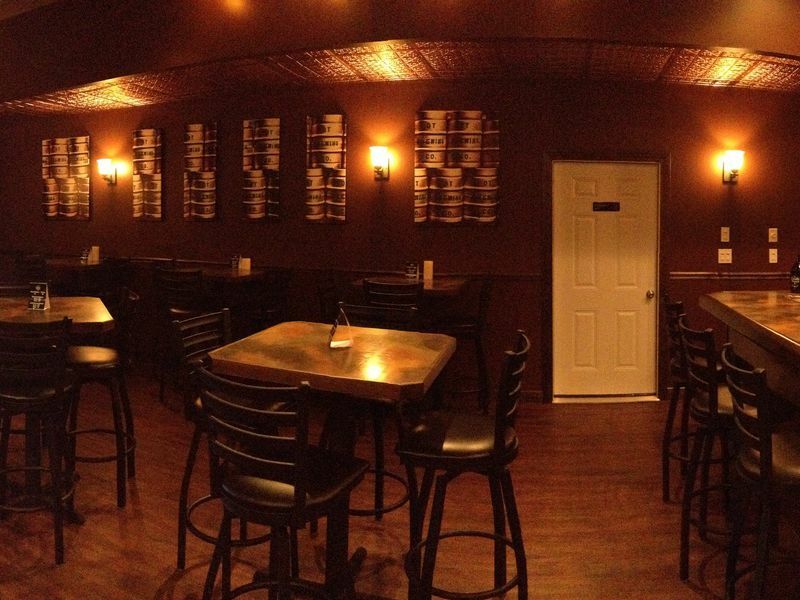 They offer such a vast selection of beers, and because they&apos;re connected to Carriage Court Pizza, they have a great selection of food. The restaurant and al fresco dining areas are also family-friendly. Crown Brewing hosts the annual Crown Beer Fest at the Lake County Fairgrounds on Saturday, May 16, during American Craft Beer Week. During the festival, beer lovers of all types can enjoy sample brews from more than 40 breweries, including many of the breweries found in Northwest Indiana. There will also be live entertainment and food available for purchase from a variety of vendors. I attended Crown Beer Fest last year, and still crave the delicious, chocolatey stout from Crown Brewing that I sampled. It was like adult chocolate milk. So good! The event is from 2 p.m. to 6 p.m. Tickets are still available for general admission, and cost $35 per person. The Devil&apos;s Trumpet Brewing Co. The Devil&apos;s Trumpet Brewing Co. opened in 2014 and has quickly established itself as a craft beer drinker&apos;s favorite in the region. I have heard nothing but positive things about this brewery. My friends have constantly raved about Devil&apos;s Trumpet, and though I have not had the opportunity to personally visit, I was the lucky recipient of a growler filled with their scrumptious beer at Christmastime. 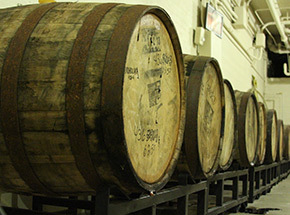 The brewery is located just off Route 30, about 2 minutes from I-65. There is a tasting room available, and food trucks frequently make appearances. Their list of beers include Prison Shoes, a pale ale; Farmhouse Gypsy, a farmhouse ale; My Ghetto, an IPA; Night Goat, a coffee stout; and more. The Devil&apos;s Trumpet will be one of the breweries pouring samples at Crown Beer Fest, so be sure you hit their table! The brewery is open on Monday and Thursday from 4 p.m. to 10 p.m.; Friday from 4 p.m. to 11 p.m.; Saturday from 12 p.m. to 11 p.m.; and Sunday from 12 p.m. to 8 p.m. 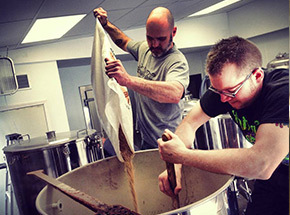 Though American Craft Beer Week is a great reason to explore the region&apos;s craft beer offerings, any time is a great time to check out the breweries found along the South Shore Brewery Trail! Cheers!